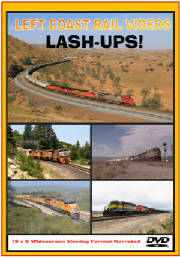 Digital video shot on BNSF’s Transcon from Cajon Pass, CA. 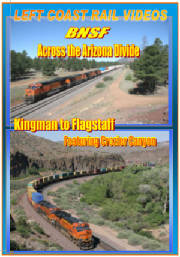 to Kingman, AZ and back to Cajon Pass. 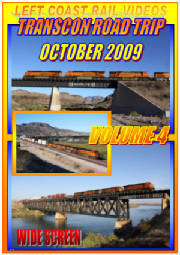 A 9 day railfan road trip!!! 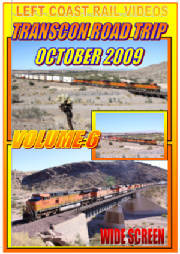 Digital video shot in Southern California along the Transcontinental Railroad. 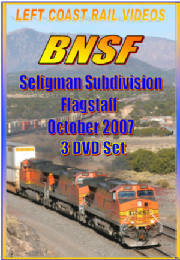 These 3 DVD’s cover the Cajon, Needles and Seligman Subdivisions from footage shot between October 2011 and March 2012. 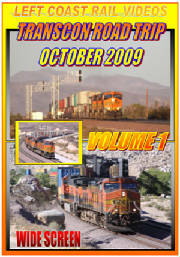 3 DVD's!!! 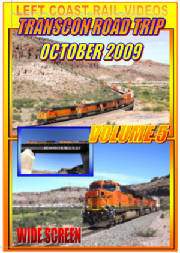 Multi-Cam 16:9 Wide Screen Format. 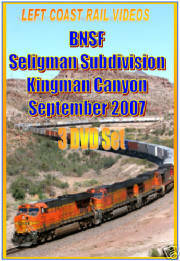 Train DVD shot along the Seligman Subdivision in Arizona. 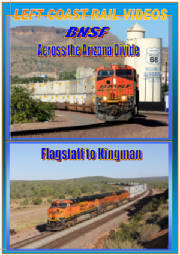 These 2 DVDs cover locations between Kingman and Flagstaff, from footage shot during a nine day railfan trip on May 14-22, 2012. 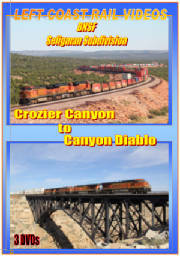 Locations include: Walnut Canyon Rd. overpass, McPhetridge, Flagstaff, Maine, East Williams Jct. 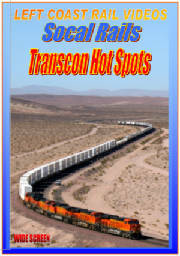 East Eagle Nest, Crookton overpass, East Seligman, West Seligman, Crozier Canyon, Valentine and Kingman. 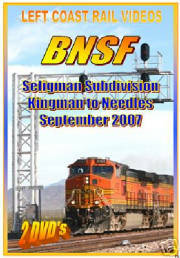 BNSF action at BNSF's scenic Seligman Subdivision Kingman Canyon.